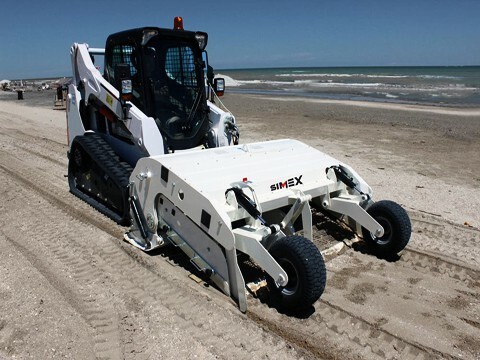 Beach Cleaner-BC - Creighton Rock Drill Ltd. 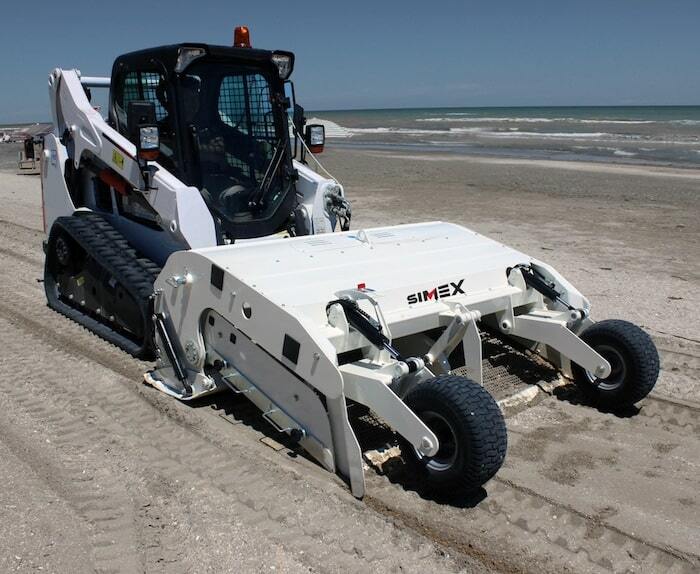 Ideal for both wet and dry sand or soil. 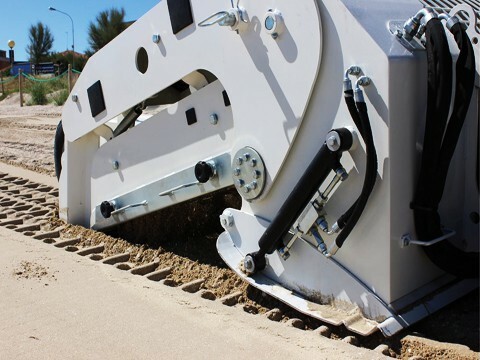 The operator can quickly sift the sand and collect debris in the 350-litre hopper. The debris can then be easily dumped thanks to the Cleaner’s high discharge capability and hydraulic hopper gate. Start/stop sifting, working depth control, and hopper opening activated by electro-hydraulic valve from the cabin. 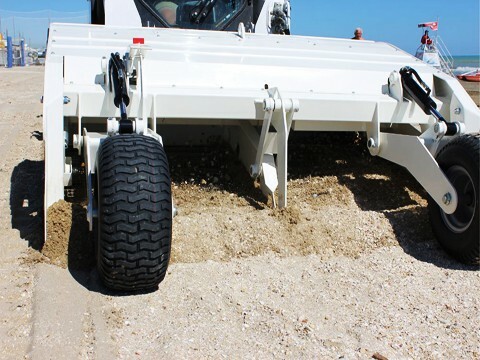 Hitch for skid steer loaders meets SAE standard. 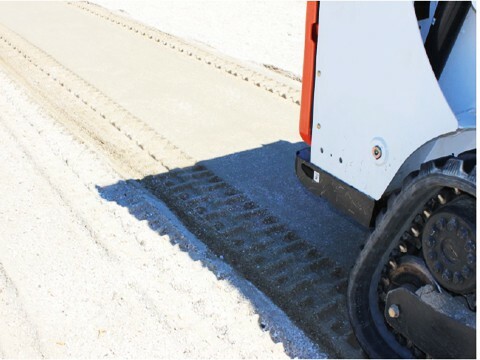 Quick change of sifters with different-sized screening grates (optional: 15x15mm and 20x20mm). Optical control of working depth (0-200mm).